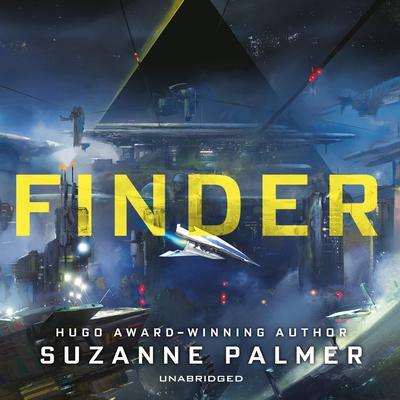 From acclaimed short-fiction star Suzanne Palmer comes an action-packed sci-fi caper that launches a high-stakes space adventure trilogy. Fergus Ferguson, repo-man, has one job: find the spacecraft Venetia’s Sword and steal it back from Arum Gilger, ex-nobleman turned power-hungry trade boss. Finding Gilger in the farthest corner of human-inhabited space, a gas-giant harvesting colony called Cernee, was easy. The hard part will be getting past a field of space mines, hacking into the Sword’s compromised AI, and fighting a crew of hostile enemies to take control of the ship. But when a cable car explosion launches Cernee into a civil war, Fergus finds himself caught in the crosshairs. Repossessing the Sword requires him to side with Gilger’s enemies, risk death, and get abducted by aliens. Fergus must learn to set aside his pride—and confront a past he’s been running from his whole life—in order to take back the Sword and simultaneously save Cernee from destruction. But when a cable car explosion launches Cernee into a civil war, Fergus finds himself caught in the crosshairs. Repossessing the Sword requires him to side with Gilger’s enemies, risk death, and get abducted by aliens. Fergus must learn to set aside his pride—and confront a past he’s been running from his whole life—in order to take back the Sword and simultaneously save Cernee from destruction. Suzanne Palmer has been nominated for the Theodore Sturgeon Memorial Award and the Eugie M. Foster Award. Her short fiction has won reader’s awards for Asimov’s, Analog, and Interzone magazines, and was listed in Locus magazine’s Recommended Reading. Her work has been included in numerous anthologies, including the 35th Annual Year’s Best Science Fiction and volumes two and three of The Best Science Fiction of the Year.